At tiny & little this week, we’re loving this board book featuring classic character, Winnie-the-Pooh. 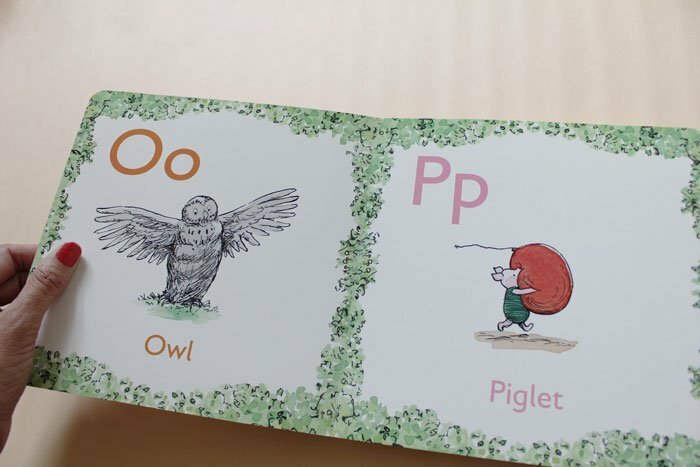 This board book introduces young children to the alphabet using delightful illustrations by Andrew Grey that are linked to the classic tales of Winnie-the-Pooh and his friends. 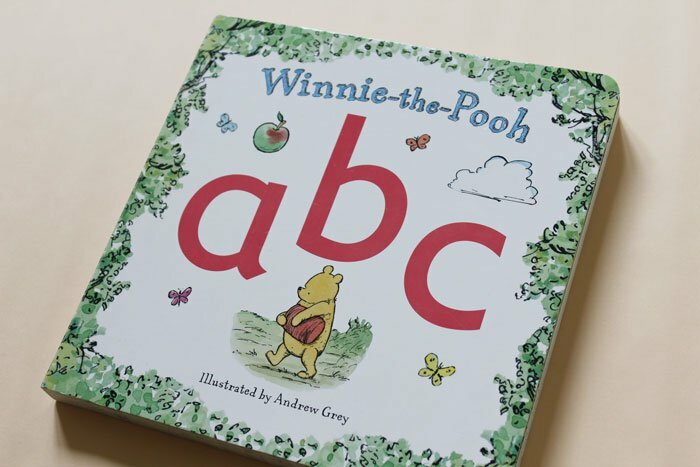 Well known characters Winnie-the-Pooh, Christopher Robin, Eeyore, Piglet and Tigger are each depicted on the page that their name begins with and the other letters of the alphabet feature whimsical drawings that little ones will adore. The pages have a lot of white space which makes the illustrations and lettering really pop out and to assist with letter recognition, a large upper and lower case version of each letter is shown. It all looks so lovely, in fact, that I found myself wishing I had it in paperback to frame a copy of every letter and create an alphabet wall art display. I’m loving curling up on the lounge with Littlest who is very interested in writing at the moment to talk about letters with this book.